The name Tamang means "horse trader." They are generally very poor people. The majority of Tamang follow Tibetan Buddhism, but mix this heavily with animism and to a lesser extent, with Hinduism. Their priests, or lamas, have a dominant role in the community and perform ceremonies for funerals, etc. Perhaps the most powerful person in society, however, is the shaman, who exorcises demons and interacts with the spirit world. 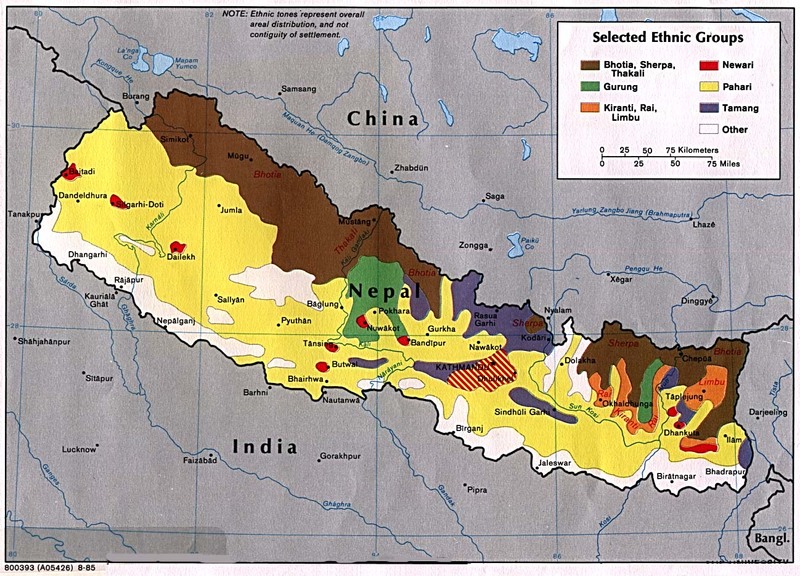 Most of the Tamang live in Nepal. The area is more open to outsiders than it has been in previous times, but there is still some difficulty in entering. 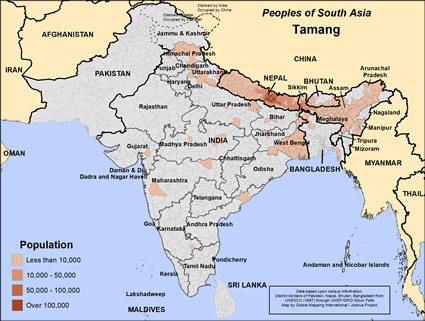 The smaller Tamang group in India has a signicant number of Christian believers. Perhaps these followers of Christ will see the need to carry the Gospel to the remainder of their own people in Nepal. Please pray to this end. There are some followers of Jesus today among the Tamang of Nepal. Pray for these, and for those others the Lord will soon bring to himself. Pray they will seek each other out in order to fellowship together. Pray they will be zealous to know Christ, and follow his ways. Pray for the entire Tamang community to be able to care well for their families, to find ways to generate income and meet basic needs. Pray they will make schooling a priority for their children. View Tamang in all countries.